From the very first chapter, I was pulled into Tori and her story. As you can see from the blurb above, Tori discovers her birthmark is more than just a dark freckle. After that discovery she meets Eric, Amanda, and Miles - who all have the same mark. I thought each character's special abilities unique and fascinating as they discovered how to use them to help each other. After meeting Amanda and Eric, the trio are confronted by Sebastian and Marco, who are both from their birth land. One wants to help them return, while the other will do anything he possibly can to prevent anyone from their birth land of learning the teens are alive. Not only that, but the trio must find Miles, the fourth of the babies who were kidnapped, and keep him safe while they decide what to do next. 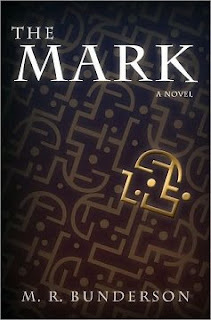 The Mark has good elements of suspense throughout the book. I was glued to the last 1/4 of the book just waiting to see what was going to happen on their journey back to their birth home. I thoroughly agree with an endorsement from the back of the book that says, "This thrilling debut from M.R. Bunderson is one part fantasy, one part mystery, one part romance, and all parts awesome." The Mark is the beginning of an excellent new series. I truly enjoyed it and hope the sequel comes out within the next six months! For more info about M.R. Bunderson, visit her website. 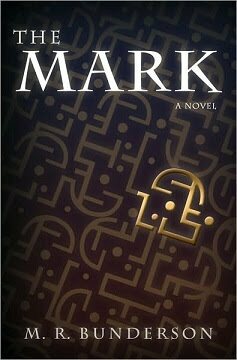 The Mark is available on Amazon and LDS Bookstores. Wow, sounds like a great book. Thanks for sharing. I'll have to check it out. We sat w/ MR Bunderson at the LDS Storymakers dinner, and she and her husband were wonderful to talk to.I'm really glad the book was good! I can't wait to read it! Aww, what a positive review. I need to read this book!